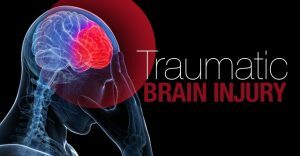 Any time you are involved in an accident such as an auto accident, truck accident, motorcycle accident, ladder or scaffolding fall, a slip and fall, or even criminally assaulted, there is a risk of you suffering a traumatic brain injury (TBI). Brain injuries are dangerous not only because of their potential affects (behavioral changes, memory loss, cognitive damage, and more), but also because these symptoms often do not manifest themselves immediately, and the longer you wait for treatment, the worse the affects can be, and the harder it can be to recover compensation for your brain injury. Given the dangerous nature of brain injuries, it is extremely important that you seek medical attention immediately following any kind of accident. The sooner you discover any brain injury, the quicker it can be treated, and the easier it will become to file a successful Mercer County brain injury lawsuit and recover compensation for your medical expenses, lost income if you are unable to work, and for your emotional and physical pain and suffering. At The Law Office of Kamensky, Cohen & Riechelson, our attorneys have extensive experience helping clients across Princeton, Trenton, Hamilton, Lawrence, and the greater Mercer County area to recover compensation in personal injury lawsuits of all kinds, including traumatic brain injury suits. If you have suffered a traumatic brain injury as the result of another party’s reckless or negligent actions, contact our firm today to discuss your options in a free and confidential consultation. As the brain is essentially our body’s processor, traumatic brain injuries have the potential to affect a wide variety of motor, cognitive, and behavioral functions in our body. Some traumatic brain injury symptoms are more obvious than others, and some also take more time to manifest themselves than others. Each person’s body and brain function differently, but if you have been involved in an accident, and begin experiencing any of the following symptoms, consult with a doctor immediately regarding your concern over a traumatic brain injury. Your best defense against the debilitating affects of a brain injury is to seek medical attention immediately following any kind of accident, even if you believe you are uninjured. Inform your doctor that you have been involved in an accident, and are concerned about the risk of a traumatic brain injury. Many of the more serious symptoms and long-term damage a brain injury can cause can be prevented if diagnosed and treated promptly. If you didn’t seek medical attention after your accident, and begin to experience any of the symptoms of a brain injury, speak with a doctor as quickly as possible regarding your concerns about a brain injury. If a family member was involved in an accident and is displaying signs of a brain injury, urge them to seek medical attention. As already noted, the longer you wait, the more serious your brain injury could become, and the more difficult it can be to prove the link between your accident and your brain injury, weakening any potential personal injury claim you may have to recover compensation. In order to recover compensation for your traumatic brain injury in a personal injury lawsuit, you and your Mercer County personal injury attorney will have to prove several key factors. Firstly, your brain injury was the result of the reckless or negligent actions of another party. For example a driver who was speeding, or failed to obey a traffic signal crashed into your car. That driver would be considered negligent, and you could recover compensation through either your own insurance company, or theirs. Second, you and your attorney must prove that the accident in question was what directly lead to your injuries. The longer your brain injury goes un-diagnosed after your accident, the more difficult proving this link becomes. Beyond getting treatment for your traumatic brain injury, this is why it is essential that you seek medical attention as quickly as possible following any kind of accident in order to diagnose a potential brain injury. Lastly, you and your Mercer County brain injury attorney will need to prove the extent of the damages of you have suffered. This includes medical expenses, both past and potentially into the future should you require on-going treatment, lost income if your brain injury prevents you from working, and the pain and suffering you have experienced as a result of your brain injury. While these steps may seem straightforward on paper, having an experienced personal injury attorney on your side during this process is highly recommended. Your attorney will have experience speaking with juries and insurance companies alike, and understand exactly how to gather the necessary evidence and present it to these parties in the most effective and compelling manner possible. Our personal injury firm operates on a contingency fee basis, meaning we cover all of the expenses for your personal injury claim and only seek payment when we make you a recovery. As a general rule of thumb, even though a personal injury attorney will eventually take their contingency fee, the total amount you personally recover is almost always greater with the help of an attorney than without. At The Law Office of Kamensky, Cohen & Riechelson, our attorneys have extensive experience helping clients across Trenton, Hamilton, Princeton, Lawrence, and the greater Mercer County area to recover compensation in personal injury cases of all kinds, including for traumatic brain injuries. Our firm is results-oriented, and over the course of the last 30 years we have built a reputation as tenacious and skilled litigators who don’t accept settlements that are just “good enough”. Insurance companies know this, and as such know they will need to treat our clients fairly and with respect. Our personal injury team is lead by a New Jersey Certified Civil Trial Attorney who has also been selected for inclusion in the NJ Super Lawyers list as it relates to personal injury law, a truly elite distinction. We believe in working closely with our clients, and that by keeping them informed and involved throughout the legal process, we can understand their exact needs and concerns, and work to secure the outcome which best meets those needs and concerns. To speak with our firm today in a free and confidential consultation regarding your traumatic brain injury and potential brain injury lawsuit, please contact us online, or through our Trenton, NJ office at (609) 528-2596.